I love Hampton Roads! I've lived in other parts of the country, but I kept coming back and I'm here to stay. The area has so much to offer and I enjoy showing it off. For twenty years, I helped companies move to the area from all over the world. That meant that lots of families came here too. I'm so glad that I now get to focus on helping people find the right home, right here! It's even more fun when it's for someone who's lived here for years and I get to show them Hampton Roads for the first time again! The most important thing to know about me is that I am a Mom. I think this fact is one of the things that makes me a good agent. Parenting requires patience, good listening skills, even better negotiating skills, and the ability to remain calm and focused while things around you are in chaos. One, or all, of these skills has come into play in every transaction I have been a part of. Before going into Real Estate I managed (and owned) bookstores, for both non-profit and for profit organizations. Customer service was the cornerstone of everything that I did. That has not changed. For me, success in Real Estate is not measured by the number of houses I sell, but by the satisfaction of the people I sell those houses to. This is a people business, and I don't ever lose sight of that. Steve is a Navy veteran who has lived in the Hampton Roads area for over 20 years and understands the unique needs of families relocating to our area. 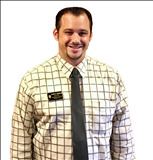 He specializes in residential sales along with bank repos, short sales and investments. Steve holds several awards including consecutive Hampton Roads Magazine Customer Satisfaction Awards and the HRRA Circle of Excellence Award. I Love My Job! I've been selling real estate for over 27 years now. I absolutely love what I do! It's a very rewarding job, as I'm able to help people for a living. There's nothing more exciting than helping someone find the perfect home. It's also very rewarding assisting a seller in selling their home for top dollar. I have a wonderful family. My husband retired from the Navy after serving 28 years. He currently works for the government doing the same thing he did in the navy, meteorologist. My oldest is a nurse working for a doctor's office. My middle is currently attending Virginia Commonwealth University in Richmond studying radiation therapy. My youngest attends Bryant Stratton College in Virginia Beach on a baseball scholarship. I've been with RE/MAX most of my real estate career. I like that we are Nationwide, as it's a name everyone knows. I also like how much we have to offer to our clients. I specialize in many areas. I work with many military families coming in and out of the area. I also work with many first time buyers, as well as many seasoned buyers/sellers. Most of my clients come from referrals, which is very important to me. That means I did my job and did it well. If you are looking for an honest hard working Realtor that has your best interest in mind that Realtor would be me! Please feel free to call, text or email me anytime. I look forward to meeting you!